So I've been trying to figure out how change up my comments section. I know there is way to make it so I can just click reply under each persons name and reply to each comment. If anyone has any advice that would be so helpful! I want to make sure people see that I'm replying to their comments and not ignoring them. Today we pin! First I have to say I'm super sad though, grocery shopping I totally broke one of my favorite necklaces. Pretty sure I only got it for $2.99 on super clearance but its one of my go to long necklaces. Since I just pulled the strand/chain part out I think it might be fixable so maybe I'll have to get my wedding rings cleaned see if my jeweler can help me! This is an image of Tolo, Greece. Went here senior year of college during a classics course. This was our home base for the two weeks we were there. One of the girls and I paddled out to the island, needless to say I was burnt after that. There are no words for how amazing and beautiful Greece is! So I know I've talked about her before but my BFF, unbiological twin Becky and I are huge Bill & Ted fans. There is a whole other blog post (probably even two!) out of that obsession. A few years ago the Shell station by my parents house was remodeled to have a Circle K store. 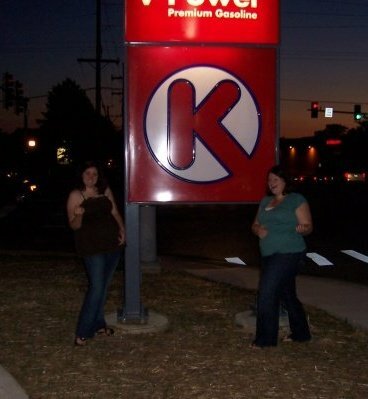 So the first time Becky met my then boyfriend we made him take photos of us rocking out by the sign. 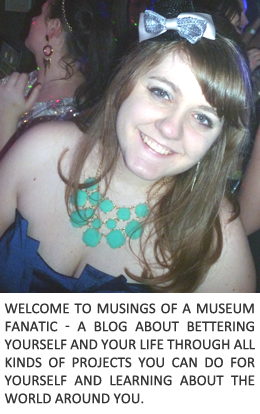 I'm working on a museum post for later this week, I know I know I've been slacking off. I've been trying to find my photos of some of the other places we've been to but I'm totally disorganized. Yay for the 101 in 1001 list (more to come on that later too) to get me to do stuff like organize! Haha hint taken! I'll try to remember! yay for 101 list, mine is going up tomorrow! Thank you for stopping by my blog and for following.